REY: OH SNOKE! 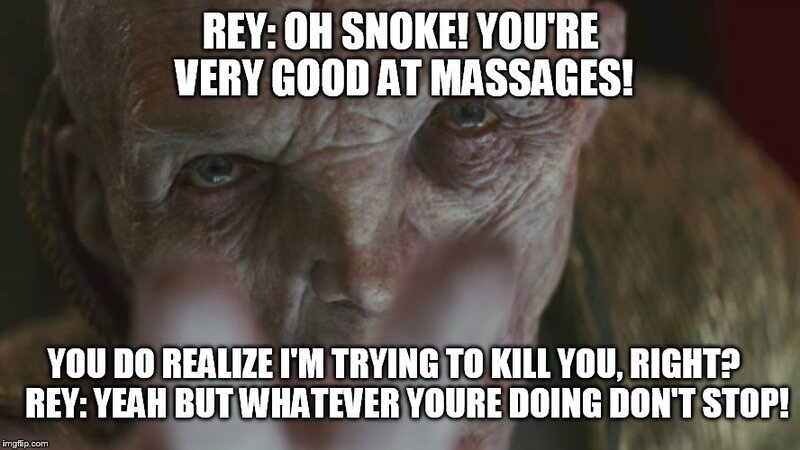 YOU'RE VERY GOOD AT MASSAGES! YOU DO REALIZE I'M TRYING TO KILL YOU, RIGHT? REY: YEAH BUT WHATEVER YOURE DOING DON'T STOP!